Even if you just need some heavy furniture moved from one room to another, we can help with that too! Planning a move in South Eastern Pennsylvania? Whether you're moving across town or around the block, the professionals at Charles E. Groff can make your move easy and stress free. Our services begin with a complete visual survey of your home or office to give you an accurate written estimate. Contact us for a free estimate for your local move! After you approve our written estimate we'll schedule your move. Our experienced moving crew will arrive at your home or office on the scheduled date to load your items on our truck. Our movers take special care with furniture and fragile items to ensure a safe move. Next, we deliver your items and furniture to your new location and unload everything. We highly recommend marking your boxes and furniture with clear labels, so our movers can deliver items to the best location in your new home or office. Finally, if any furniture was disassembled during the move, our crew will reassemble it in its designated location. We offer competitive hourly rates for moves within 40 miles of your current location in Southeastern, PA. For distances over 40 miles to 100 miles that are still within the state of Pennsylvania, our rates are determined by the weight of your items plus mileage. Contact us for detailed pricing information! Charles E. Groff performs over 2500 successful moves each year. Our experienced crews are all full-time employees and most have over 10 years experience. A crew leader is assigned to every moving crew to ensure your move goes smoothly. Need packing supplies? Be sure to contact us about pricing for our packing supplies which are often priced lower than what you'll find at your local big box store! We'll even offer some useful packing tips to ensure your items stay safe during your move. Hate to pack or just don't have the time? 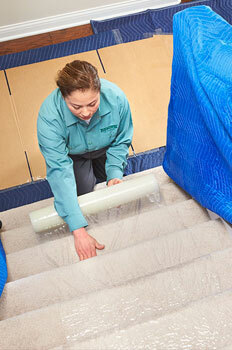 Learn more about our professional packing service and leave the packing to us! Ready to plan your local move? Contact Charles E. Groff to schedule a free consultation and get a written estimate!